I don’t believe in New Year’s resolutions, but as a way to force ourselves into seeing each other more often, my friend Kat and I made a joint resolve to go on a food trip date once a month -- taking turns in choosing the restaurant. The primary goal was for us to stop procrastinating by regarding this monthly soiree as a commitment, rather than a mere option if and when we find some extra time. An additional challenge was for us to pick a place that the other hasn’t tried yet. Sounds exciting, yes? January was my chance to pick, so last week we headed over to UP Town Center to begin this ritual. 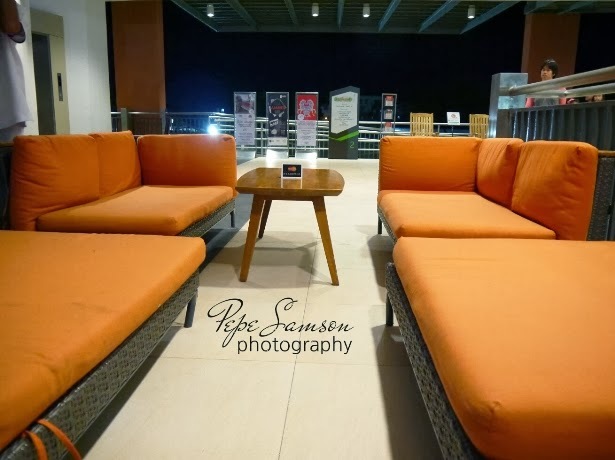 I haven’t fully explored UPTC, and knowing Kat—who likes sticking to her comfort spots—I knew she hasn’t either. 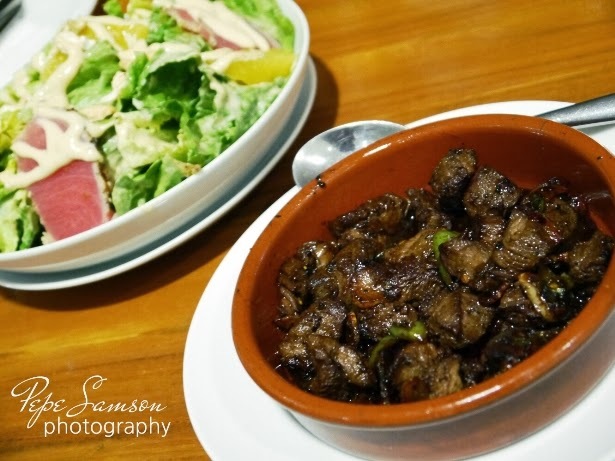 And so one Friday night we found ourselves in The Primary Kitchen and Bar, a Spanish-fusion restaurant right in the middle of UP Town Center. Situated beside the escalator on the upper level of UPTC (right across Liberty Steakhouse), The Primary stands there looking like something that fans of The Distillery would automatically check out. 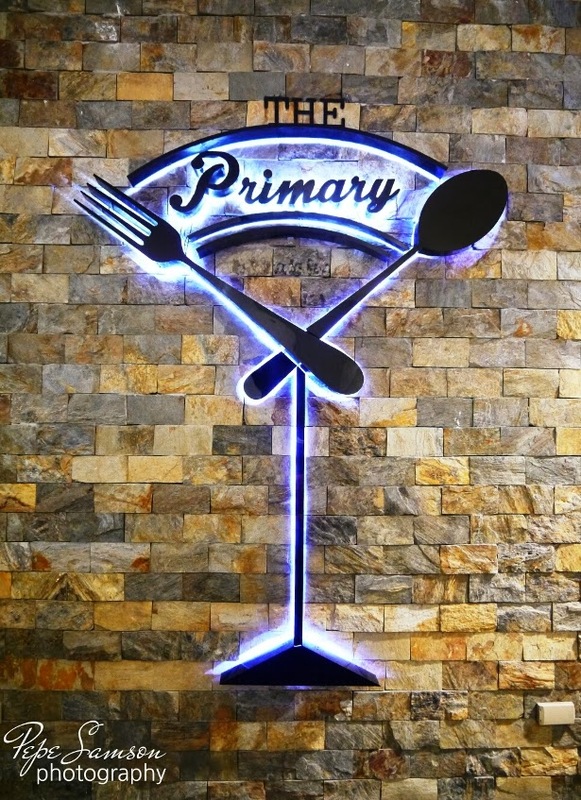 What greets guests outside is The Primary’s brick façade, which holds the restaurant’s cool logo. 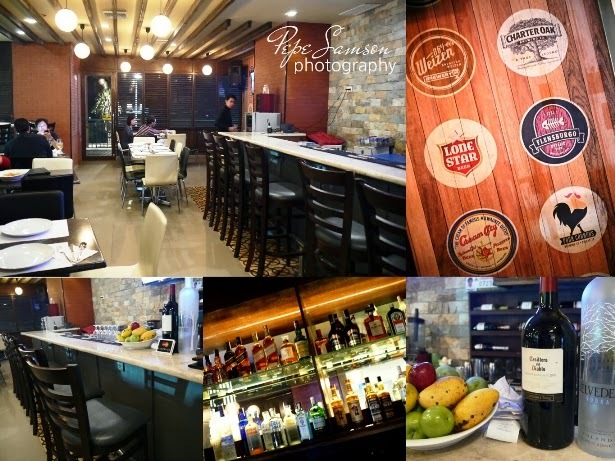 An easel menu is nearby, enticing diners with mouthwatering Spanish dishes as well as a few Italian- and Mediterranean-inspired creations. Not to be missed is the extensive cocktail list. Upon seeing this, I knew I had to sit down and stay. The sleek interior holds several tables, a bar area, and a TV. The huge sports fan that I am, we choose the alfresco seating instead. While my friend ranted about the imperative sentences that functioned as descriptions in their menu (don’t mind us, we’re G-Nazis like that), I had a struggle deciding what to order because honestly—and quite expectedly—I wanted everything. After a painful decision-making process, I finally decided on something. 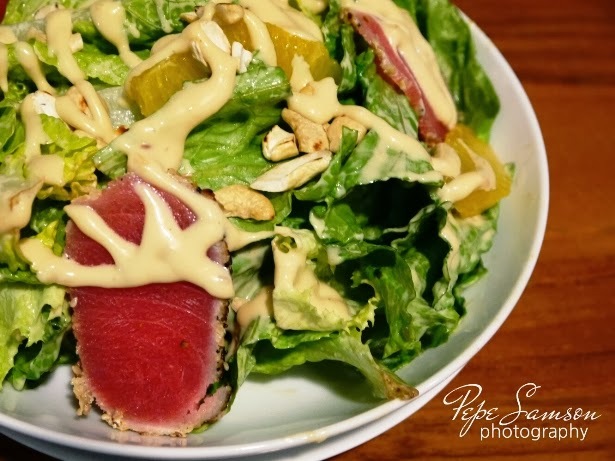 Barely five minutes after taking our orders, the server came back with my Sesame-Crusted Seared Tuna Salad. 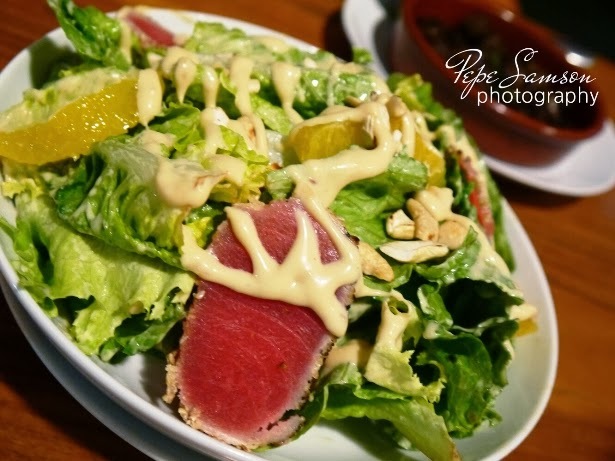 I usually don’t order salad, but ever since I fell in love with this seared tuna thing from Izumi, my tongue has been longing for these little red fillets. The Primary certainly satisfied my craving! Admittedly my mouth was looking for wasabi, and when it found lettuce instead, there was a moment of confusion. Nonetheless, the dish was a refreshing start to a sumptuous meal ahead! 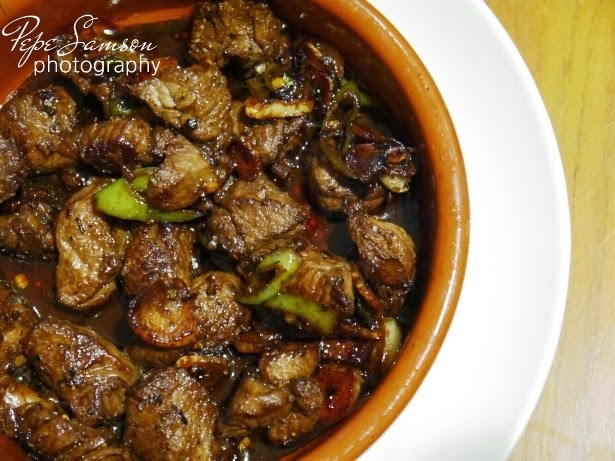 If you love salpicao, The Primary’s Beef Salpicao is definitely a must-try. There’s no excuse messing up a classic dish, and The Primary executed this one amazingly. Not too garlicky so as to overwhelm the palate—and yes, I ordered plain not garlic rice, in case you’re wondering. The beef cubes are so tender, it’s like eating diced steak. 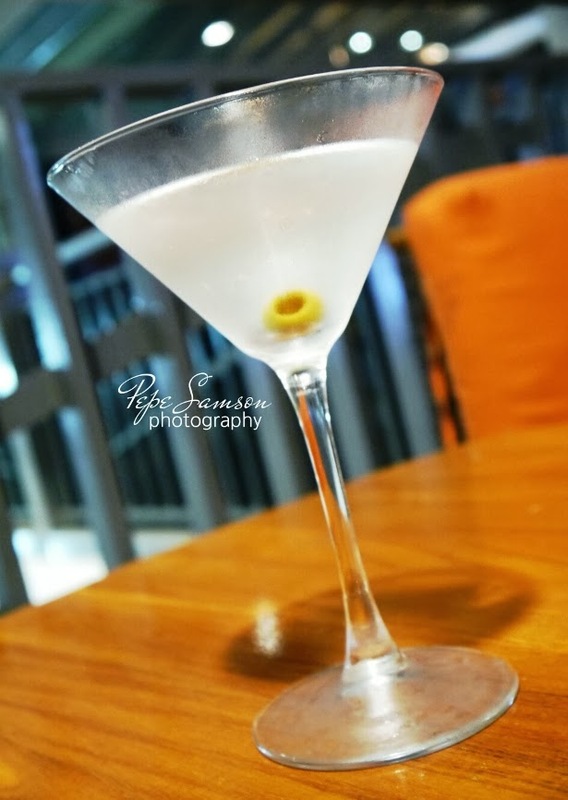 I couldn’t emphasize enough that any serious bar must put equal attention to food and drink—and The Primary certainly surpassed my expectations. The proof? 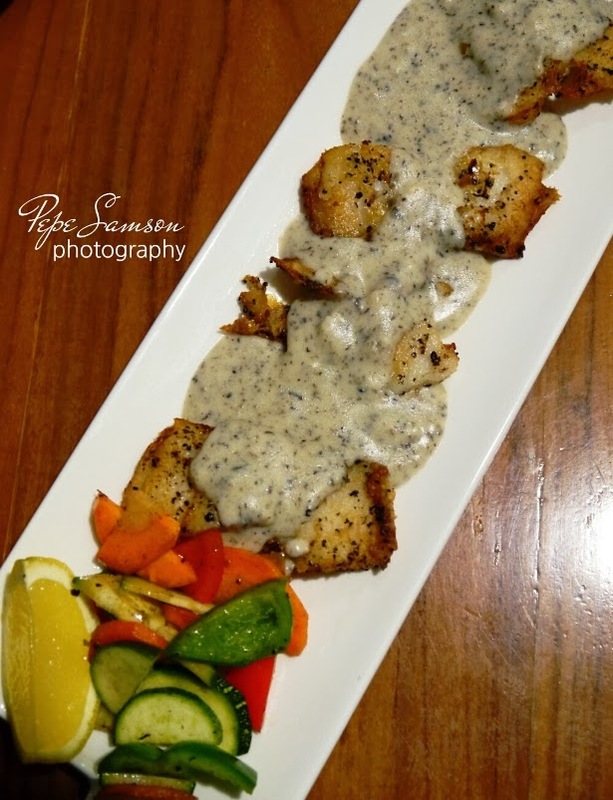 This Sole Fish in Truffle Cream Sauce! 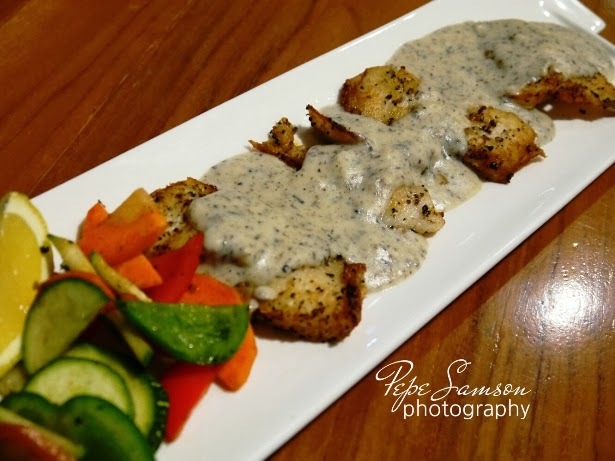 As if truffle cream isn’t enough to make me explode into a series of obscene outbursts, the perfectly seared, pepper-crusted Dover sole made sure to hog its own spotlight. I could throw a thousand cusswords right now but I could not even come close to reliving how it felt inside my mouth, the side vegetables adding a hint of sweetness to the earthy, melt-in-the-mouth goodness happening in my taste buds and synapses. OMG, did I just use the word synapse?!?! The food was so good we had to remind ourselves we actually met up to talk and catch up, not focus on our plates and ignore each other. For sure, I would be coming back to The Primary to sample more of what they’ve got. Dinner ended a bit earlier than expected, so there was enough time left to grab a drink in The Primary (and have dessert somewhere else). 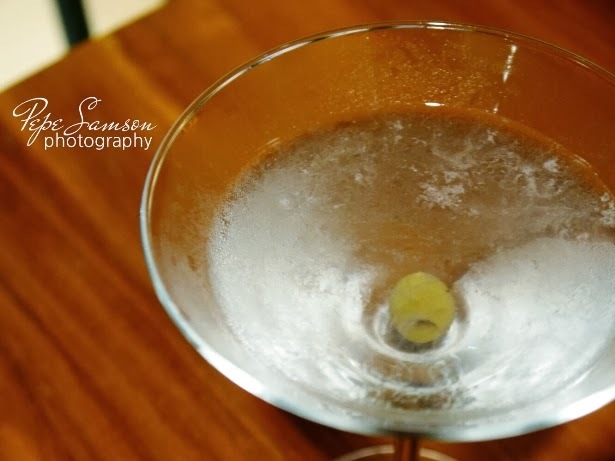 I ordered a dry martini—a lot better than the ones I used to start my meals with at Old Vine. I paced my drinking so we could talk longer. I can’t think of a better night, to be honest. Superb food, exquisite drinks, awesome company. And excellent conversation—alternating between deep discussions and nonsense blabber. You know sometimes I really miss my friends from UP. Not that they are the only smart friends I have, but people from there usually can jump from one topic to another so seamlessly it’s like we’re all schizoids. Until I met up with Kat that night, I didn’t realize how badly I was missing that kind of connection. As for The Primary, it’s the type of place I would impress my boss with, bring a date in, or introduce to my family (the place, not the date). Or quite simply, the type of spot perfect for friends to gather and catch up and miss each other. 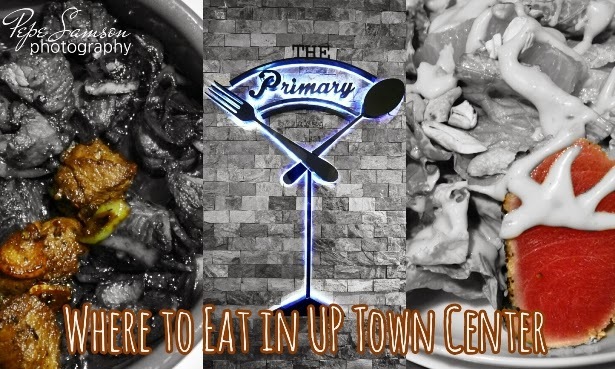 What's your favorite spot in UP Town Center? Which restaurant should I try next?